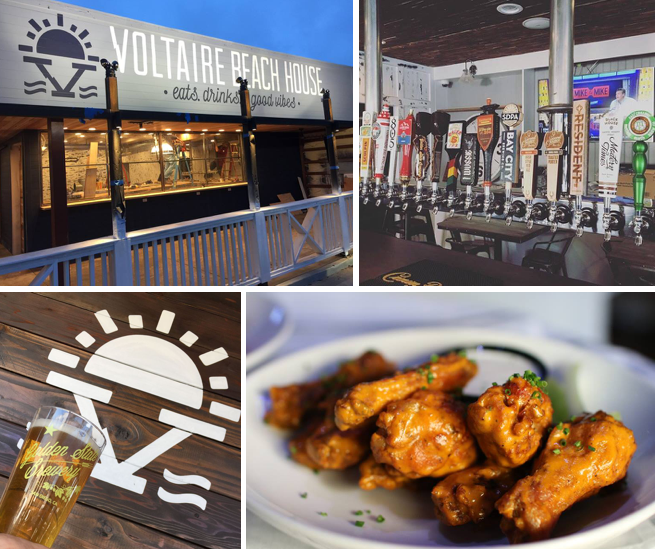 The former O'Bistro space in Ocean Beach has been transformed into Voltaire Beach House, a nearly 4,000 square foot indoor/outdoor bar and restaurant opening tonight. Featuring a menu from Consulting Chef Abe Botello (West Coast Tavern), Voltaire Beach House boasts an expansive, covered patio, a giant wraparound bar, and even an adjacent craft beer tasting room from Santa Clara-based Golden State Brewery. Voltaire Beach House is the brainchild of David Schiffman, who has ownership interests in Whiskey Girl, Double Deuce, Florent, The Rabbit Hole and once owned long-shuttered The Range Kitchen & Cocktails in Hillcrest. When a rent spike forced O'Bistro from its space at 4934 Voltaire Street in Ocean Beach, Schiffman decided it was time to tap into the OB neighborhood for a Nantucket-style beach bar. 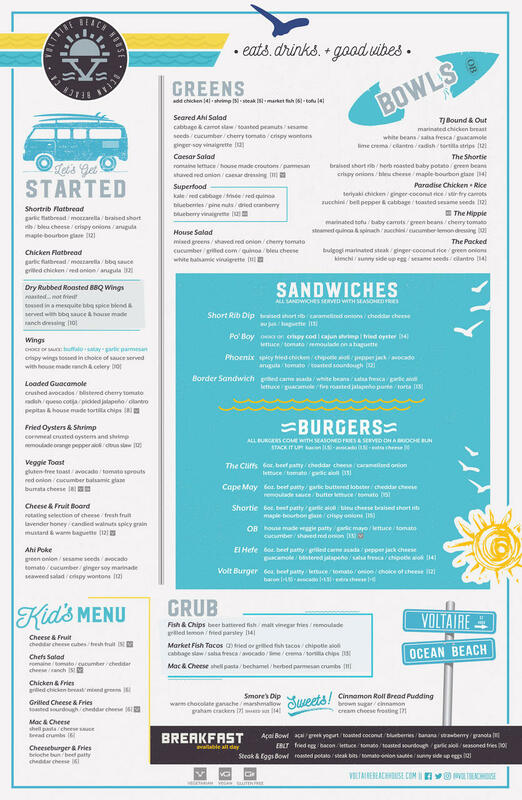 Voltaire Beach House will offer a menu of shareable plates, flatbreads, salads, bowls, sandwiches and burgers designed by Consulting Chef Abe Botello, who gained significant experience working for Matt Gordon's Urban Solace and Solace and the Moonlight Lounge. 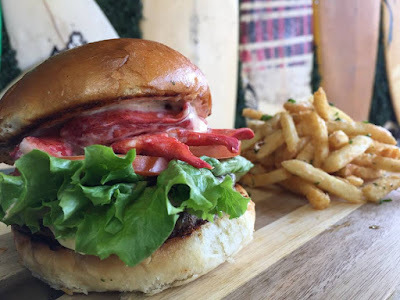 Chef Abe is also known for his delicious food in his current role as Executive Chef of West Coast Tavern in North Park. Highlights include a fried oysters & shrimp plate, dry rubbed roasted BBQ wings, a seared ahi salad, a short rib dip sandwich and market fish tacos, to name a few. Behind the bar, expect plenty of San Diego craft beers on tap. Leading the kitchen full time will be Executive Chef Kamil Harvill. The restaurant includes a 900 square foot, dog-friendly patio for dining alfresco, which will have a firepit and heaters for warmth in the evenings. The 3,000 square foot interior offers a wraparound bar, antique copper design elements, rustic paint designs and a spiral staircase to inspire feelings of a true beach haven. 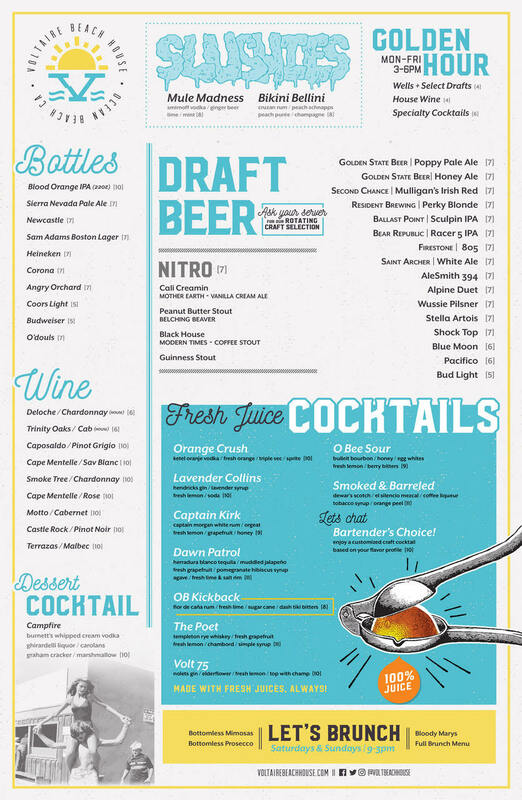 The bar will have 24 craft beer taps, a curated selection of wines by the glass and slushies & cocktails created by OB-resident & General Manager Gabriel Shantz using fresh juices. 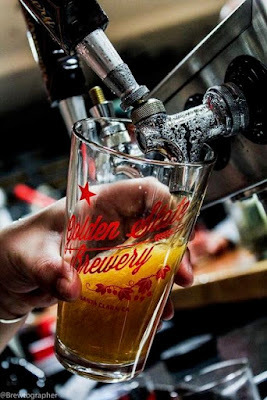 Golden State Brewery, which was started by Seth Hendrickson and Kirill Egorov in Santa Clara, CA, in February 2016, has moved into the adjacent space attached to Volataire Beach House. In addition to their 20 brews on tap, the 40-seat tap room is equipped with multiple televisions and will be serving dishes from Voltaire's kitchen and a vast selection of cocktails and wine from the bar. "We decided to make our way to San Diego because it’s the beer Mecca of the U.S. We have a lot of respect for the brewers' visions here and couldn’t be more excited to join this special San Diego craft beer community," says Golden State Brewery co-owner Seth Hendrickson. After the doors open at 5pm tonight, Voltaire Beach House will begin offering breakfast, lunch and dinner from 10am-2am on weekdays and from 9am to 2am on weekends. The Golden State Taproom will open at 11am daily. For more information, visit voltairebeachhouse.com and goldenstate.beer, and check out the food menu below.